French schools have found a better way to curb the rising smartphone use in the country. Starting in September, all the students will have to leave their smartphones or any other digital devices at home. The ban was passed by the lawmakers on Monday and applies to school children between the age of 3 and 15 years from the start of September. According to a report, French schools with children above the age of 15 will be given a choice whether to adopt the ban on their students or not. The ban, however, already exist in one form or another because all the teachers do not allow the use of mobile phones in the classrooms and the law that has been passed is a confirmation of that restriction. The French President Emmanuel Macron says that the recent ban is a good step towards reducing the smartphone usage among the young generation. It is because the increased use of smartphones has given rise to many health concerns for the country. Many officials reveal that the use of smartphones has given rise to cyber-bullying, cyber-addiction, and sleep disruption among the children. This is making them less focused on their studies and getting involved in unproductive activities. The authorities’ state that today there is a phenomenon of screen addiction and the phenomenon of bad mobile use. The report found out that nearly 90% of the children between the age of 12 and 17 were able to access smartphones in the year 2016. This rate is 72% more than it was in the previous decade. The biggest reason behind implanting such a plan is to make children more concerned and focused on their studies rather than indulging into the digital world. A study that was conducted on teenagers with internet and smartphone addiction showed that the brains of those children had greater levels of neurotransmitters that were a cause to slow down the neuron. This resulted in the teenagers reduced level of control and attention. It made them more susceptible towards distractions. 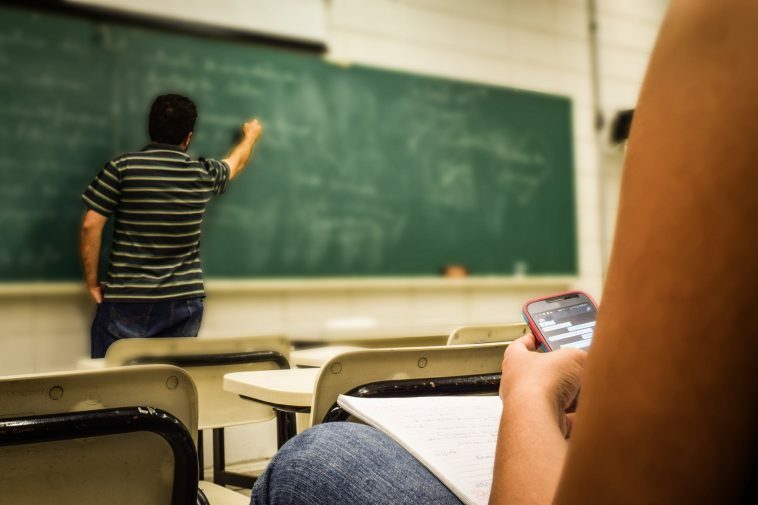 The banning of the smartphones in schools will cause a clear improvement in the student’s attention span and will help to save the children and adolescents.